Vancouver plays host to pinball wizards with the inaugural FlipOut Pinball Expo — featuring more than 100 machines and competitive tournaments. Organized by Tommy Floyd of Nitro Amusements in Mission, the expo will be held at the Holiday Inn Downtown from Friday to Sunday. 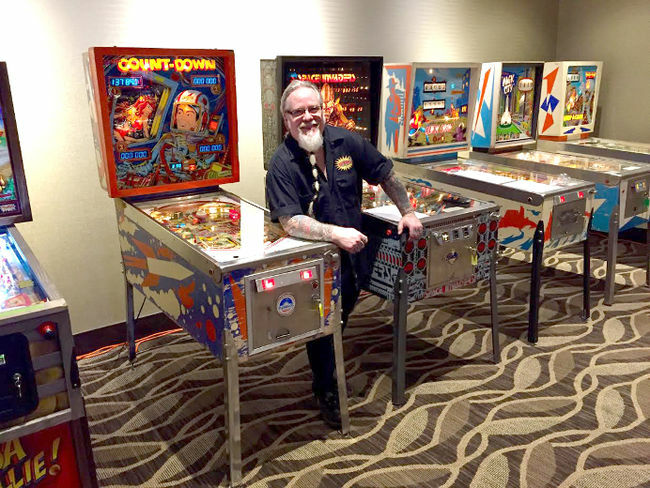 Kyle Seller, owner of pinball company East Van Amusements and a technician with the expo, said the local popularity of pinball games has exploded. He started a pin bar in 2012 at Pub 340, and last year launched a pop-up arcade in East Vancouver. There will be games specially crafted for the expo, he said. Beginning Thursday, the expo is also hosting tournaments ranging in competition, including the “Junior Jam” for kids 12 years old and under. Tournaments aside, he said beginners shouldn’t shy away and added that after paying admission, games are set to free play, meaning attendees can play as much as they like. Seller, who considers Tron his favourite game, said he expects hundreds of people will attend and said he thinks pinball’s appeal lies in the fact that no game is ever the same twice. Guests from the pinball industry will also be in attendance delivering panel speeches. The event is open for all ages. More info at vancouverflipout.com.